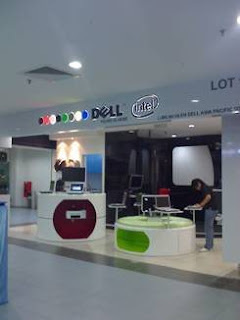 ~e-Commerce Dreamland~: Review on the post – "1st Dell Physical store in Malaysia!" Review on the post – "1st Dell Physical store in Malaysia!" Dell is probably famous for purchasing online via its website and trough telephone. This is due to its marketing strategies to cut price and lower its cost by using direct sales model. But a couple of years ago, Dell Inc has slowly switched from click-and-mortar to brick-and-mortar e-commerce. Especially in Europe and US, many direct sales stores has been establish to have more face to face interactions with customers. Last year in Malaysia, the first Dell Direct Store was open in Midvalley Megamall, one of the busiest shopping mall in Kuala Lumpur. I have visited the store located there soon after its opening. Located in the IT corner of Midvalley, the store location is around the center hall and easily noticeable after you walk into the IT section. The Dell store may not be spacious but they offer the display of latest notebooks and computer gadgets. 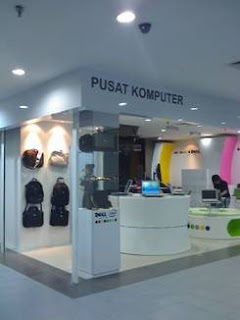 The physical store provides a better interface for customers to purchase computers and gadgets since there are Dell sales person to assist them in the purchasing. Besides, customers can try on the notebooks and computers before they decide to buy the products. That is why the founder of Dell, Michael Dell has changed the company’s direction from selling directly to its customer online to be the company that has more its own channel and known as the third party vendor. More Dell store will be set up soon in Malaysia. if Dell is looking for strategic location, Plaza Low Yat will be the best place for a Dell store. As Plaza Low Yat is the most popular IT center in the town, many people will go there to look for computers and the latest IT stuff.